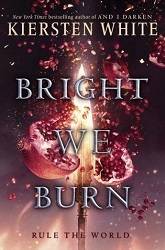 This entry was posted in 2019, 4.5 Star Rating, Book Reviews, Yvo's Shorties and tagged 4.5 star rating, abuse, book review, bright we burn, crime, exquisite, fantasy, fiction, historical fiction, kiersten white, lgbt, love triangle, mystery, psychological thriller, published in 2017, published in 2018, romance, sarah stovell, series, suspense, the conqueror's saga, thriller, young adult, Yvo's Shorties by Yvo. Bookmark the permalink. Fab shorties! 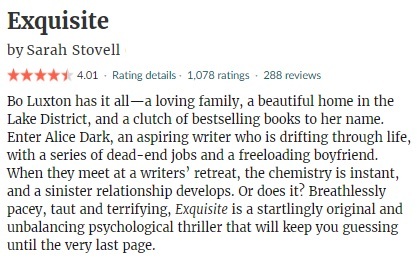 I’m really intrigued by Exquisite now! 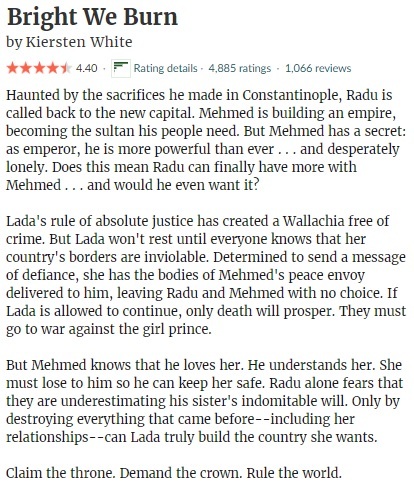 It’s definitely one worth reading. Yes!!! So glad you loved Exquisite! I found it intoxicating, intense, and so good!!! 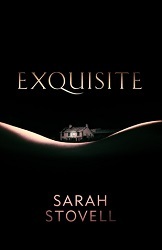 I read Exquisite and enjoyed it as well. Great reviews Yvo!